I want to tell you all about what’s going on in my life like usual, but I’m in a very EMO mood and I don’t know what to say. I’m in a situation where I don’t know what my heart wants and if you’ve ever been there, you know it’s a supremely uncomfortable place. Torn by different outside influences, it makes it hard to see a clear path. Here’s to hoping that my blog will provide me some therapy and direction in a confusing time. Well. Now that’s out there. Who wants to hear about Ergoblast pre workout? You do? Ok. Let’s get on with it, then. I swear my dark mood isn’t the only reason why I’m going to bag on how this pre workout tastes. Trust me, it’s just not that great of a flavor. I had the raspberry lemonade flavor, and the taste was below the standard from what I expect from a raspberry lemonade flavored drink. This one tasted mostly like the Crystal Light low-calorie lemonade drinks that were popular among your Mom’s friends like five years ago. Ergoblast comes in all kinds of flavors, and I’m not really sure what possessed me to go with the raspberry lemonade over other options like Strawberry Ice. Maybe it’s just that I thought this flavor was going to be more on-point like EVL ENGN or some of the other super tasty pre workout supplements. But hey. I can forgive poor taste if the product has tremendous workout results. Well. Does it? 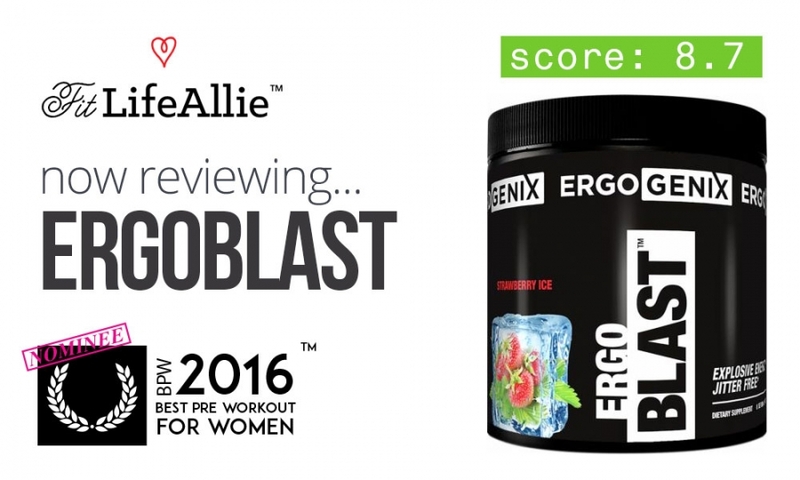 Does Ergoblast provide the type of workout experience that makes you say ‘wow, I forget all about the heartache I’m going through because I’m having such a great workout!’. The short answer is, no. I tried Ergoblast for the first time today and it’s not the best pre workout on the market by any stretch of the imagination. There are some things that are ok about it, but for the most part this pre workout didn’t seem to cooperate well with my body and mind. The things that I’ve really enjoyed in some pre workouts lately have been the superb focus boost that you get when you take them. Pre Jym is still one of my favorites for the focus, even though some others like Pre Kaged have come along and stolen some of the thunder. You can read my Pre Kaged analysis here for more insight on ‘Jym’ vs. ‘Kaged’. But Ergoblast did make me feel a few things. For one, it gave me some pretty serious beta alanine tingles, which, depending on what mood you are in, can be either a welcome surprise or an annoyance. In my case today they were, er, I don’t know. I can’t decide. But now I think maybe I am starting to decide. I didn’t like them. Wait. I liked them. Wait. I don’t know anymore. The thing that I do know is that this pre workout was one of the best ones that I’ve had in terms of raw strength. I did a squat workout followed by a core workout and then also an arm workout. I destroyed squats, and then ended up going super heavy on arms which I never do because, well, my arms are plenty big. But I’ve actually had some good results with getting them more toned by lifting heavy. So there’s that. Ok can we talk about the formula now? K good. It’s super interesting that I didn’t have an even better workout than I did with Ergoblast, because to tell you the truth, the formula here is really pretty nice. The ingredient list is extensive, and on top of that, they are very smartly dosed. This isn’t a ‘Big Blend’ like Kaged or Jym, nor is it a ‘micro’ stim blend like C4 or Neon Volt or one of those heavily stimmed pre workouts. This formula features some really nice ingredients for strength and endurance optimization, including L-Glutamine, Creatine Monohydrate, and N-Methyl Tyramine Hydrochloride. Two interesting ingredients that you find in Ergoblast that you don’t find in some others are Higenamine Hydrochloride and also Theobromine- one of the main ingredients in Layne Norton’s pre workout. I think what I noticed more is the Higenamine. This ingredient is really good at boosting the focus of your workout. I think it’s actually THE feature ingredient within this pre workout. It’s safety is not 100% bulletproof known for sure, but the general consensus is that it IS safe for human consumption. I sometimes wonder if it isn’t the next ingredient to make it’s way onto banned lists like Picamilon. But we’ll see. Ok. Let’s talk about packaging now. Some people might look at me like I’m crazy for giving Ergoblast a good grade on packaging, but let me try to defend it. Well. Not good. A 7 out of 10 isn’t necessarily good by any means. If I got a 70 on a test in High School I would be grounded for weeks and weeks. But what you have to think about Ergoblast is that here’s a bland, boring, black label with white graphics. But look a little closer at the design as a whole. There is very little to distract you from what’s important. We know what the product is named, we know what company makes it, and almost most importantly of all, we know what the flavor is, via these super fancy, colorful, large, flavoring graphics. Some of the top companies are really focusing on the flavors on their package design, which I couldn’t agree with more. There is something exciting about opening a pre workout with a flavor that you are jazzed to try because of a well-placed flavor image. It’s really too bad the raspberry lemonade is such a lousy-tasting flavor because the graphic makes it look so tasty. Ok let’s wrap up the Ergoblast review. The value of Ergogenix pre workout raises its value significantly in my book. At just about one dollar per serving, you are getting quite a remarkably complete formula for your dollar. It’s a product that slightly underperforms what you expect judging from the label, but one that is 100% worth a shot- especially if you are on a budget.